A Lizard, found exposed up on a wire fence after heavy rain forced it to seek high ground. … for peace of mind. Periodically I offer to teach meditation and this is that time once more. I started teaching years ago and paid the insurance and hired a hall, put flyers up all over the place and paid for advertising. And charged accordingly. Today I only teach from home, in Victoria Point, Queensland and there is no charge for the meditation as there is no cost to me. Or I can travel and if it’s any distance I would need my costs covered. Either way it is my pleasure to teach where it is needed. What I teach is to still the mind. It is not easy to do but it is simple and worthwhile, and once learned you won’t forget it – what you need of it stays with you. You can best benefit from this meditation if you are conscious of a degree of stress, tension, emotionality or unhappiness and recognise the need for peace of mind. That way you are motivated and will readily see how it works so the learning goes deeper. If you want this contact me, by phone is best, email is ok too. See Contact page, top right. Fantastic photo . . . but not to be out shone by your generous offer of meditation teaching. Thanks Jan. Just doing my bit. I love your posts. While my photography is not as good as yours, it still gives me much pleasure. I am learning about the “bugs” in my neighborhood. There is a lot to learn. 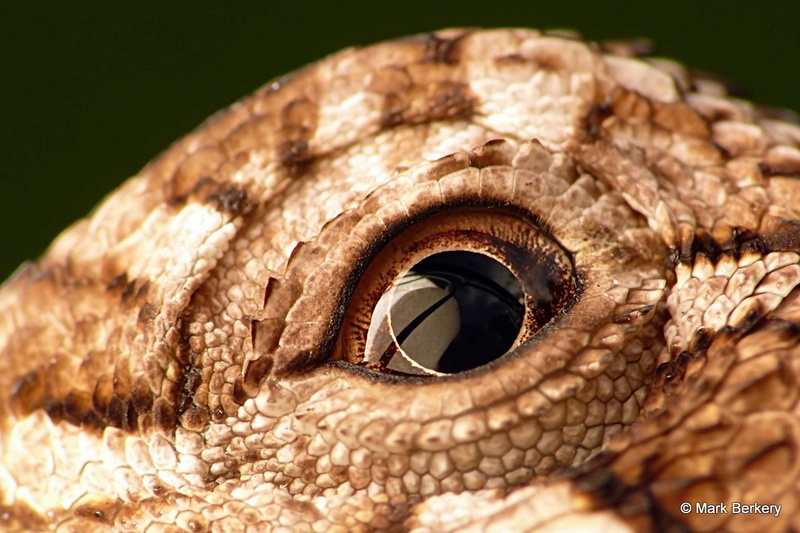 I recently took a photo of a modern day lizard, a chicken, and was surprised to see my reflection in its eye. I can see the reflection of your light diffuser in your shot. We can see ourselves in the nature around us, in different ways. Reflection being a physical and psychic quality, one a reflection of the other – if we can see … One reflector. … the chain-link fence symbolising it’s plight, trapped by circumstance, but no problem. I like the refection of the fence in the eye. The symbolism … Thanks David.